A woman identified as Ramatu Usman Shehu on Monday died from a suspected case of Lassa fever in Niger state. According to a family source, Ramatu who died at about 6 a.m on Monday morning was rushed to a private hospital in Minna when she started vomitting and stooling blood and emitting blood from her nostrils. The Source told The Nation that the hospital, after testing her referred her to the Ibrahim Badamosi Babangida Specialist Hospital but the parents refused taking her to the hospital and took her home where she died. 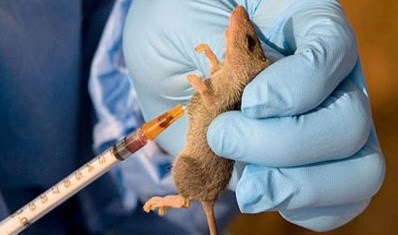 When The Nation visited the private Hospital, one of the doctors who spoke anonymously confirmed that a lady was brought to the hospital with suspected Lassa fever symptoms and because they could not handle her, the hospital refered her to the IBB Specialist Hospital. However, efforts to get the Niger state Ministry of Health prooved abortive. Although our Reporter met with the Permanent Secretary, Dr. Makunsidi, he denied knowledge of any case as such saying he had not been informed. He however promised to make enquiries and get back to the Reporter. But as at the time of filing this report, he had not called and his number was not going through.